As promised, today I want to share about another new crystal discovery that has quickly become a new best friend of mine. I absolutely love this little, but powerful crystal. The information about this crystal feels very timely, so I was nudged to share it now. And what kind of crystal is she, you ask? 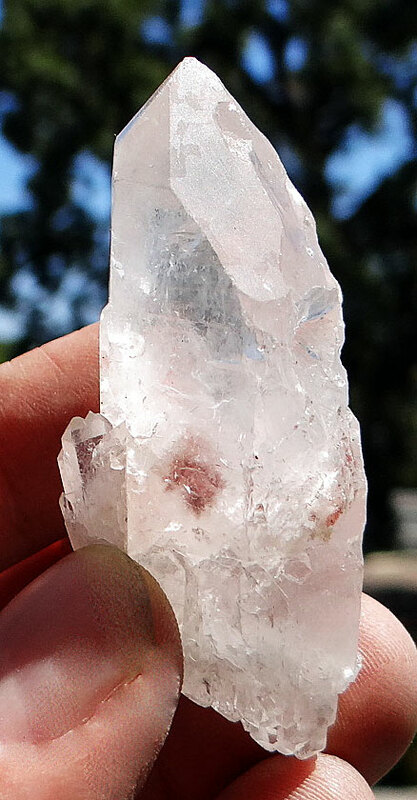 She is what is called a “Starbrary” Quartz Healing Crystal, but in the particular case of mine, she is also a “Lightning Strike Starbrary” Quartz. My little one comes from Minas Gerais, Brazil, is connected to the Pleiadian Star System, and has a Lightning Strike. This information is gathered, paraphrased info you can find out there, along with some of my own. They hold information from the peoples of these Star Systems that positively influenced human evolution. They have come to be known as Starbraries and are identifiable by unique glyph-like symbols, markings, or sometimes geometric patterns along their shafts (occasionally also on the main face) and usually will also have a doorway/portal or key. And even if they don’t have keys, which they may not, they always have a shape that makes them very easily and comfortably held in such a way that helps to access the opening to these many layers of information stored within. They are like encyclopedias of Cosmic knowledge. Much like other kinds of record-keeper crystals, you unlock the doors by aligning your fingers with them and this facilitates journeying though the multiple layers of informational experience. The information received was meant to be a permanent record to help humans to rebuild Earth, in the event of catastrophe. These Starbraries were scattered in chosen places across the globe so that a variety of people everywhere could have access to them. There are sets of these crystals that are like chapters of books, or series of books that you will want to ask the order in which to read them. Once you welcome one into your experience, you’ll likely receive more. The Star Systems these come from include Cassiopeia, Pleiades (these first two contain more philosophical information, are the basis for most of the Lemurian and Atlantean recollections, and are the most sought after), Leo (more historical and factual information), Ursa Minor (often called cosmic crystals with dots and dashes resembling a meteor shower to decode), Orion (Titanium included with very clearly defined glyphs created from deep ridges/furrows in the faces – the only Starbrary that is marked here, rather than on the sides), and Andromeda (these are DT/ET – Double Terminated Extraterrestrial) and have very tiny keys, layered sides where the ET crystals overgrew the main one, appear connected with the Cassiopeia and Pleiadian peoples pointing to collaboration among Star peoples). Of all of these, the Orion Star System Starbraries are the only ones that need important companion crystals (which will usually come with them when gifted to you or purchased, or will show up soon after) to help to decipher the very detailed info it is encoded with, or acts as a key itself to access the other crystal. These crystals were very integral to the Native American culture. The companions apparently don’t have to be quartz. Other Star Systems are starting to slowly become recognized (Sirius and Lyra to name a couple) and likely more will turn up, as we collectively are ready to receive them. They all have variations of flowing, geometric, linear, or indented Morse Code-kind-of patterns to them. Now, you may ask, how are they different from Lemurian Seed Crystals? As in many ways they may appear similar, but in fact are not. The main difference between Starbraries and Lemurian Seed Crystals is that Starbraries have been encoded “remotely” by civilizations outside of our solar system, while Lemurians have been embedded by peoples that actually “inhabited” Earth long ago – seeding/planting them in a sand bed in Brazil for us to discover thousands of year later. They have to both be deciphered, but the Starbrary language is much more complex, partly because they contain such huge amounts of information within each, which is also considered “crucial” to the human race’s evolution and survival, along with the planet’s as a whole. Times of extreme crisis, major shifts, or global need may herald many of these showing up more and more in the hands of lightworkers, visionary leaders, bridge workers, and Earth keepers. There are also apparently a number of what are called Master Starbraries and Starbrary Rosetta Stones. The Masters are decoders of other Starbraries, while the Rosetta Stones help to translate between a minimun of two Star languages. There are also some, like mine, that are Lightning Strike Starbraries, which are very rare “spirits” of profound change that have had their information downloaded/embedded into them using the intensity of a bolt of lightning as a conduit. They are identifiable by jagged, zig-zag scars along their shafts where the lightning struck. Lightning Strike Starbraries can be from any of the Star Systems, but not all Lightning Strike crystals are Starbraries. 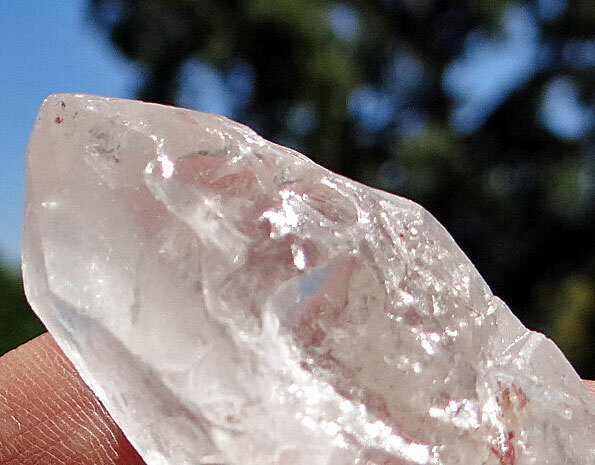 It’s thought that the cosmic travelers imbued their knowledge into the crystals (that were exposed or purposely placed on the surface) during electrical storms over Brazil thousands of years ago. The Lightning Strike adds another quality to the crystal, which is easily understood by what we know of lightning to symbolize. These crystals help to connect, balance, clear, and unify all of the Chakras, as well as your energy field. They will also increase your personal vibration, taking it to a much higher frequency that actually assists access to information found on Master Starbraries. While accessing the higher dimensional frequencies, you also are supported in releasing deep, old emotional patterns at the cellular level, which helps you along your path with greater clarity. Some of the Lightning Strikes will appear more fresh and others will have been healed through the eons – each of these also having different energies. The more fresh ones will help you to work with very traumatic and dramatic change that needs to happen quickly so it will herald rapid clearing and be experienced more intensely. The healed Lightning Strikes (like mine) are softer and more gentle, and avoid unnecessary negative effects of instant results. They assist with old beliefs, past childhood or life carry-overs and help you to repattern things at the core. Both are all about change and herald flashes of enlightenment. If you get one of these, you are ready for, and asking for, transformation in big ways. In general the Starbraries are starting to appear rapidly and are being united with their guardians who will need them to work with things currently shifting and things to come, and one has to ask why that may be? I believe it is because, as in many posts I have shared before, we can no longer sit idle, no longer turn our heads, no longer straddle the fence, not take action, not walk the walk, and not take responsibility for all of our choices in support of both personal and collective well-being. The knowledge the Starbraries hold from our cosmic elders is potent and it is thought, that just like with the Lemurian Seed Crystals, that they will experience a simultaneous awakening that will create a grid like “lighting up” across the Earth. Now is the time to raise collective consciousness and awareness and to become aware of the truth that resides within so that you can walk through the door of the reality you really think you are walking into…not the devised parallel matrix that has all of the look, but no substance of the authenticity your existence was Sourced from. It is time to integrate at the deepest of levels and evolve from the fear, anger, hatred, greed, jealousy… that have been allowed to run the show. Starbraries are tools and keys to support a rise to this new level and fortify the Earth from the inside out – returning to the Cosmic knowledge and foundations it was built upon – returning to the Heart Source of All That Is. When you become a guardian of any crystal, it is a responsibility and partnership not to be taken lightly and always to be a commitment of respect and love. When it comes to Starbraries, I sense this raises the bar exponentially in what you are being gifted the utmost honor of partnering in. You will want to work often with your Starbrary (I am finding mine to be always with me, even when I sleep) so that you can learn its mysteries that will have great impact collectively. Posted on October 24, 2013, in Uncategorized and tagged crystal healing, crystals, crystals for transformation, crystals to help you shift, crystals to support the new earth, extraterrestrial crystals, human evolution, Lightning Strike Starbrary, star system crystals, Starbrary Quartz, working with crystals. Bookmark the permalink. 17 Comments. 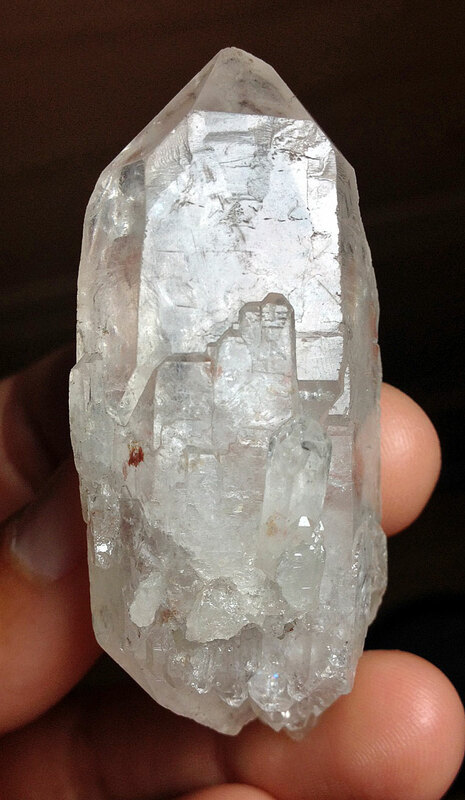 I have literally found out about this crystal 2 hours ago, while searching for Lemurian Seed Crystal. 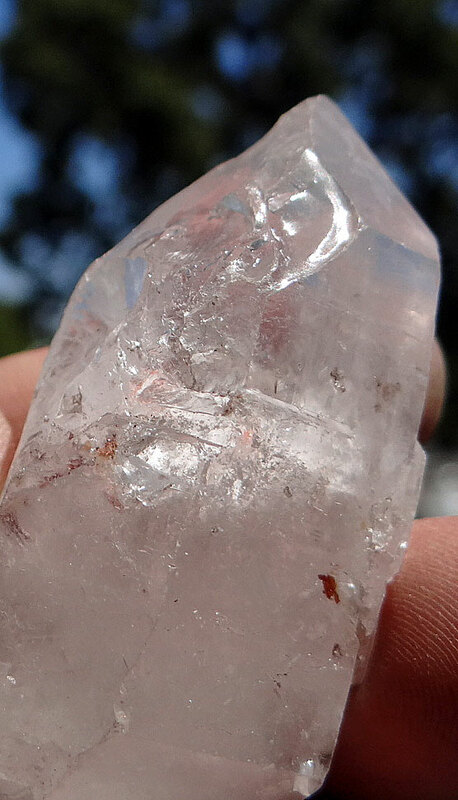 I feel tremendous urge to have high vibration crystals to aid my spiritual growth and they keep coming to me 🙂 I loved your text about Starbrary Quartz, indeed I have enjoyed it as it beautifully depicts supreme potentials of the crystal. i share your resonance with these amazing crystal beings. 😉 unfortunately i don’t know of anyone in europe and only found these by “happenstance” through someone here in the u.s. perhaps you can try doing a search online and see if anything comes up near you? if i happen to find someone myself, i’ll let you know. i wish you lots of good vibes for your search! usually when you have the intent, you end up drawing in what you desire. so one will likely show up in your field of experience 😉 love to you! thank you so much for the info keely! Hey there recently recieved my starbrary crystal I believe it to be from Ursa Minor my question is what’s the best ways/ techniques to decider/ download their ancient knowledge? Hello! I really enjoyed reading your article about starbraries. I’ve been looking around the web for good info and thoughts about them but it all seems to be the same regurgitated information, so I am so happy to see someone write about their own personal experiences and I really hope to see more articles about yours and the growth in the future! I was at my regular metaphysical shop looking through their quarts and even though there were so many that were perfectly clear, I really felt a connection to a crystal that looked like every other side was dragged through a gravel pit haha after a few days with it, I noticed dozens of triangles all over each face and I realized “oh my gosh it’s a beautiful record keeper!” 😀 It’s my favorite crystal buddy by far. Then later I stumbled upon a picture of an ursa minor starbrary and realized that those weren’t just hundreds of chips on the sides like I previously thought, but were messages. I was beyond estatic and I am wondering if you have ever heard of a crystal being both a record keeper and a starbrary? I feel like my little buddy is really special, is there an email you have that can send the pictures of it to? Thank you and crystalline blessings! I read your article with much interest. I got a lightning struck Quartz and am facinated by it. I think it brought me to your page. I’m writing now because of a special situation, I remembered. A very known seer once told me, she was very much astonished, that I still am on this planet, as my race departed into space long ago. Do you think it is possible to communicate with my people with one of the starbraries and can you procure one for me? Thank you for sharing this insights. Can you advice to me how and where I can find a Sirius Starbrary?